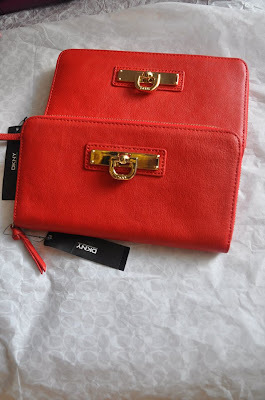 Material :genuine leather from DKNY. Metal decoration with stamped logo in the front and closed with zip. The bag contains four compartments, space for eight cards and coin compartment with zip. Length 22 cm. Height 12 cm. Width 2.5 cm. Inside of leather and textile.